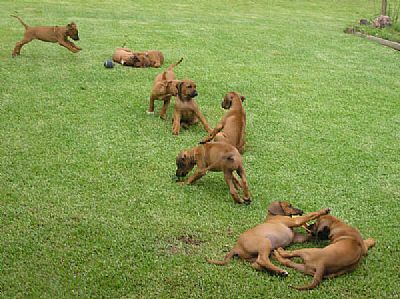 We at Terjon Rhodesian Ridgebacks are proud to breed quality puppies that have been bred using quality lines and lovingly raised by our family. Before you finally decide on a puppy, remember that you are choosing a friend and companion for the next 10-15 years, so the decision you are about to make should be based on temperament as much as conformation. 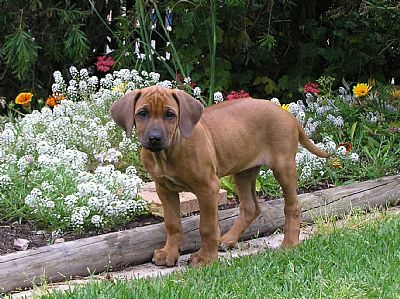 Rhodesian Ridgebacks make good family pets and companions. Ridgebacks are amazingly loyal, smart, caring and very loving. They love nothing better than being with you. With correct socialisation as puppies they are very trustworthy and have mild temperament. While maintaining the three most important things, diet, exercise and love, your Ridgeback will truly be in peak condition and you will ensure its happiness. Remember, your dog wants to learn the right thing, you are the teacher. Be firm, fair and consistent. Never be cruel. Know your dog and let your dog know you.